By now, you’ve probably already heard of Bitcoin — the world’s first cryptocurrency. This decentralized form of electronic cash allows users to make peer-to-peer payments anonymously. Though despite this anonymity, all Bitcoin transactions are recorded in a public ledger that everyone can see. This makes the cryptocurrency very difficult to manipulate or steal. Moreover, no single entity controls Bitcoin — making it immune from government or regulatory oversight. In addition, only 21 million Bitcoins will ever come into existence (through a process known as “mining”). This means the digital currency is less likely to suffer from runaway inflation. However, Bitcoin has one major drawback. Transactions are added to the public ledger in blocks of 1 megabyte (MB). This means the digital currency’s network can only handle a limited number of trades every second (4.4 transactions to be exact). As Bitcoin becomes more popular, users face an ever-increasing backlog of pending transactions, and this ultimately restricts the cryptocurrency’s growth potential. Bitcoin just isn’t very scalable. Introduced in August 2017, Bitcoin Cash launched as a more scalable alternative to Bitcoin “Classic.” Rather than record transactions in blocks of 1 MB, Bitcoin Cash is able to add peer-to-peer payments in chunks of 8 MB. However, creating Bitcoin Cash wasn’t easy. It had to fork off from its predecessor. This rift created a huge debate within the larger cryptocurrency community. In fact, there have been several lesser-known Bitcoin forks — most of which didn’t catch on due to limited buy-in. Bitcoin Cash managed to survive, however. Its success largely stems from how similar the underlying code and infrastructure are to Bitcoin Classic. That being said, Bitcoin Cash isn’t nearly as liquid as the original Bitcoin. This is because there are fewer ways to acquire, trade and sell the newer cryptocurrency. Only a limited number of exchanges currently support Bitcoin Cash. By contrast, the more established Bitcoin Classic is accepted in almost every cryptocurrency market around the globe. Bitcoin is trading around $6,000 (USD). Bitcoin Cash is closer to $600 (USD). However, these numbers are not fixed in stone. By their nature, cryptocurrencies are highly volatile — with radical price swings happening from second to second. Even Bitcoin Classic has gone through dramatic shifts. When it launched in 2008, its value was essentially $0. Though in late 2017, Bitcoin exceeded $20,000 for a few days. So it’s conceivable that Bitcoin Cash could go through a similar transition. Then again, it could just as easily plummet to mere pennies on the dollar. 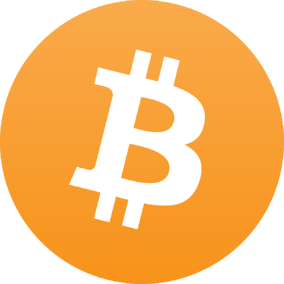 Bitcoin Cash is most commonly used to make peer-to-peer payments — similar to other electronic cash networks like Pay Pal. Others buy this cryptocurrency as a form of speculative investing. Anyone who bought $1,000 worth of Bitcoin Classic in 2008 could have sold their coins for $20 million less than 10 years later. Potential returns like that have attracted many new investors to the cryptocurrency market, and Bitcoin Cash’s relative affordability makes it very attractive to speculators. However, this cryptocurrency also has many retail applications, with a surprising number of businesses around the globe now accepting Bitcoin Cash. As of spring 2018, more than 100,000 merchants worldwide support it — regardless of future price swings, this number will likely continue to rise over time. Should You Begin Accepting Bitcoin Cash in Your Business? It really depends on your risk tolerance. Like all cryptocurrencies, Bitcoin Cash goes through wild price swings. Just imagine that you sell an item worth $10 (in Bitcoin Cash). A few minutes later, you convert your Bitcoin Cash into actual dollars. It’s technically possible that you might only get $5 from the conversion. It’s also possible that you’ll receive $15. If you’re like most retailers, you’re probably not comfortable with that level of uncertainty. However, if your users are asking to pay with Bitcoin Cash, it’s definitely worth exploring. The more payment options you provide, the more potential customers you’ll have. Nonetheless, you may be better off looking at Bitcoin Classic first. It’s more established and enjoys a wider audience. Once you feel comfortable accepting this older cryptocurrency, branching off into newer ones will be less intimidating.